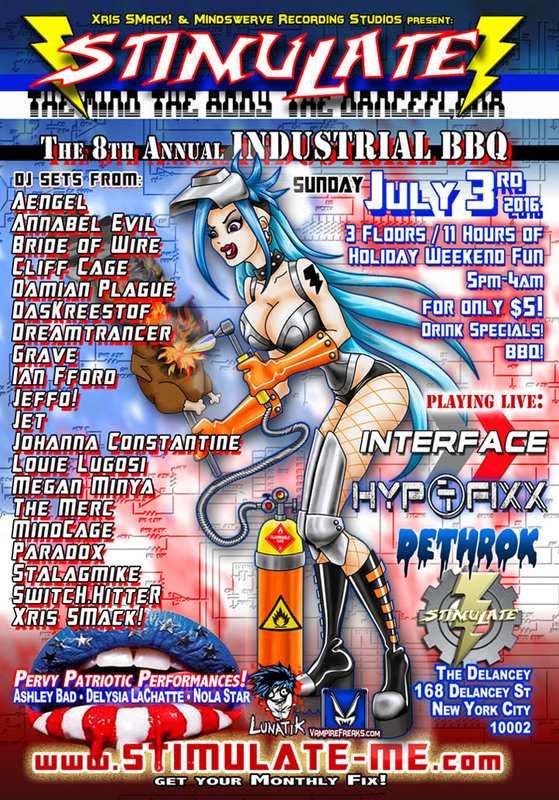 07/03/16 – STIMULATE 8th Annual 4th of July INDUSTRIAL FESTIVAL! STIMULATE 8th Annual 4th of July INDUSTRIAL FESTIVAL! Bands, Performances, 20+ DJ's on 3 floors - 14 Hours of Patriotic Holiday Fun for only $5! !